Designer's choice mixed arrangement using premium focals and fillers in a 6x6'' clear cylinder vase with aspidistra leaf lining. 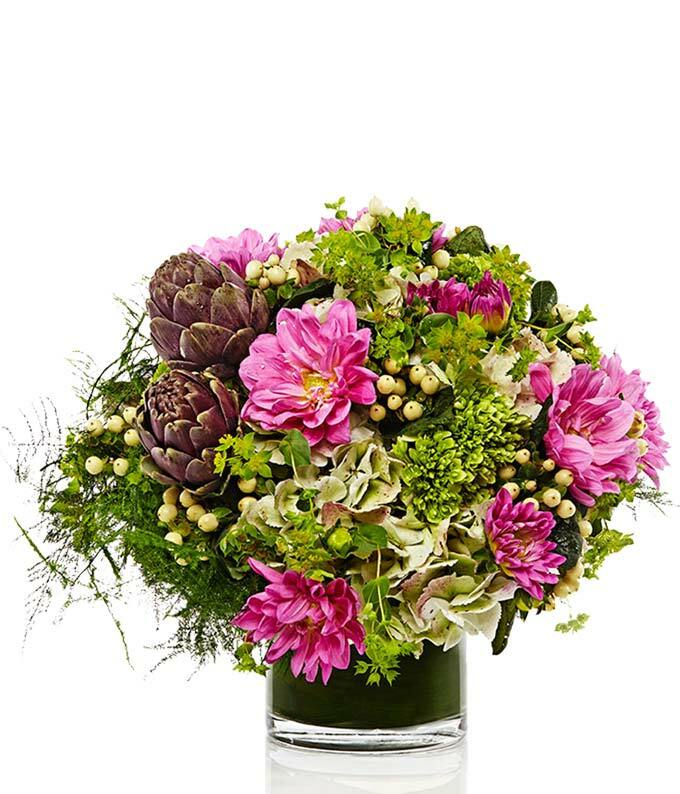 A stunning modern floral bouquet may have succulents added to the arrangement. Create by a florist with the freshest stems, all arranged in a cylinder glass vase.